EMONITE1: Chicago Fest Crowd at Emo Nite LA. EMONITE2: @babsszabo of Emo Nite LA performing at Wicker Park Fest. EMONITE3: Crowd surfing at Emo Nite LA during the show. EMONITE4: Emo Nite LA keeps the Festival flowing. 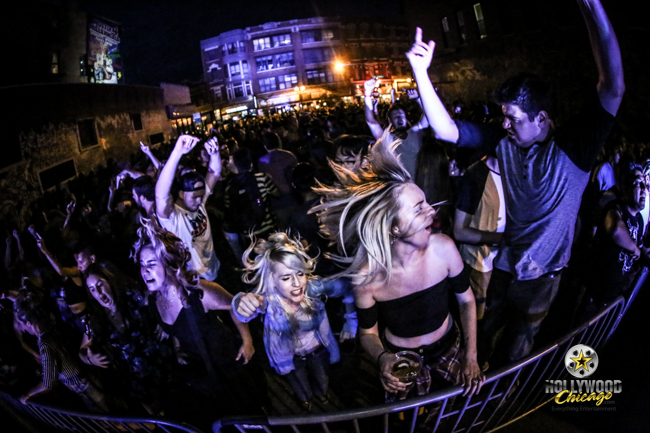 EMONITE5: Emo Nite LA appearance made for a memorable Wicker Park Fest. For more information about Emo Nite LA, click here.